The Addis Ababa-Djibouti Railway is the latest beneficiary of China's African investment programme, with the BRI set to ensure that the number of such projects is set to increase, but are China and Africa's agendas truly compatible? 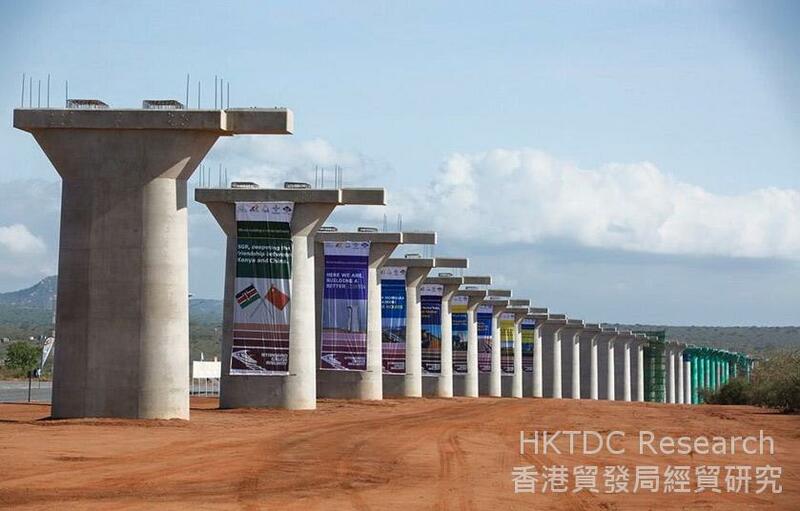 China-African co-operation in action: Construction work on the 485km Mombasa-Nairobi Line. Djibouti is among the tiniest of all of the African nations, while Ethiopia has long been considered the economic powerhouse of the Horn region of East Africa. Both, however, are clear beneficiaries of the Belt and Road Initiative (BRI), China's massive international infrastructure and trade development programme. While Djibouti may be diminutive, its port packs a punch, occupying, as it does, a strategic position straddling the entrance to the Red Sea. The country also has a substantial military presence, including the largest American military base in Africa. By contrast, Ethiopia, a nation with the second-largest population on the continent, is a true regional economic bright spot. These two countries, although markedly different, have now been linked by the Addis Ababa-Djibouti Railway, a project largely realised through Chinese engineering and investment. Officially opened in October 2016, Africa's first cross-border electric railway was built by the China Railway Group and the China Civil Engineering Construction Corporation, while most of the US$4 billion financing came from the Exim Bank of China. The new 750km railway provides a much improved import-export corridor for landlocked Ethiopia. Most significantly, it slashes the seven-day road-freight journey from Addis Ababa to the port of Djibouti to just 10 hours. The outcome of a strategic partnership between China and Africa, the rail link is viewed as an integral part of the BRI. More recently, in June this year, another China-funded/managed project, the Mombasa-Nairobi Line, went into operation. The 485km line is actually phase I of a much bigger project – a $14 billion standard-gauge railway network that will eventually extend from Kenya on to Uganda then to Rwanda. Once completed, it is hoped that this network will open up many of the landlocked East African markets to Chinese manufactured goods via the port of Mombasa. It is also anticipated that it will improve the supply chain for African mineral commodity exports, resources that China increasingly relies upon. The two rail projects are just the latest in a long line of engineering initiatives that have seen China establish a substantial presence in Africa. 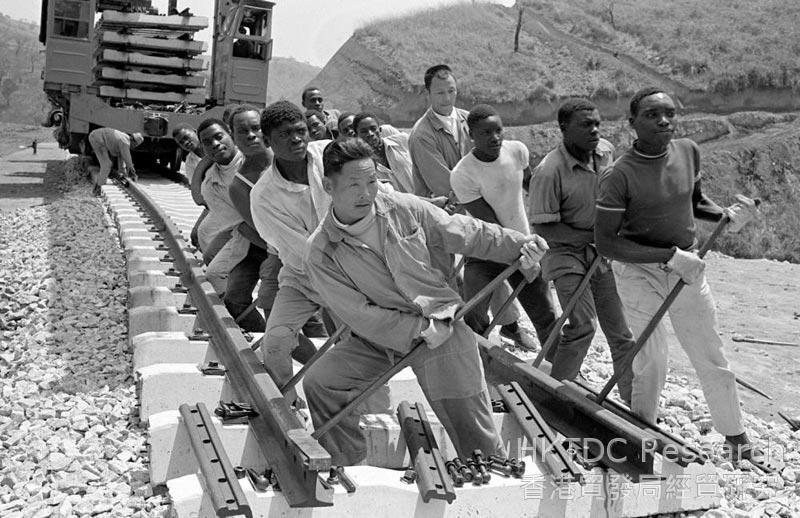 Back in the 1970s, China built the Tazara Railway, which connected landlocked Zambia and its copperbelt with the Tanzanian port of Dar es Salaam. At the time, this was China's largest aid project in Africa. More recently, China's commitment to major infrastructure projects across Africa has formed a key element of its BRI agenda. It is also clear that China is keen to play a major role in Africa's economic development, a policy that will only enhance its commercial presence on the continent. Acknowledging this, during the 2015 Forum on China-Africa Cooperation Xi Jinping, China's President, committed to a generous US$60 billion package of development assistance for Africa. Much of this was earmarked for investment in several major infrastructure projects, including the new Ethiopia-Djibouti Railway and a series of port upgrades along the East African coast. Assessing China's game plan, David Monyae, a political analyst at Johannesburg University's Confucius Institute, said: "China has enhanced its role on the continent with a no-strings-attached approach to investment and commercial engagement. This has created the impression that Beijing is ready and willing to support Africa's development efforts." The Tazara Railway: The 1970 construction project that was one of China's first African ventures. Other analysts, however, have been more cynical, asserting that the BRI is a means for China to create not only a global trading bloc, but also to establish a "zone of influence". One such commentator, Peter Fabricius, a consultant for South Africa's Institute for Security Studies, said: "Xi may be taking advantage of a fortuitous opportunity to extend China's economic and political influence as a world leader. This could see it capitalising on a moment of American global capitulation under Donald Trump, the notoriously isolationist US President." Fabricius is not alone in seeing a clear indication that a new international economic order may be emerging. As a sign of this, China recently established a military base in Djibouti, alongside those already leased to several other countries, including the US and France. Others, however, refute that the BRI projects underway across the continent form part of a clandestine power grab. Instead, they maintain that China's investments in East Africa are purely part of a wider trade network, one intended to improve access to Africa's one-billion strong consumer market. As such, it is thought, they should be seen as a development drive that is looking to nurture joint progress through enhanced trading pathways. Whether the two – geopolitical assertiveness and an increased global trading network – can be genuinely separated out is something of contentious issue. Either way, as one writer – Peter Bruce, one of South Africa's leading business journalists – said: "Chinese influence in Africa is immense, visible and spreading fast." For many, the key question is whether what works for China will also work for Africa. The African Union, a body that represents all 55 countries across the continent, is optimistic that it will. It has long made it clear that it is keen for China to partner with many of Africa's infrastructure and technology programmes. Perhaps going some way to explain the Union's enthusiasm, Greg Mills, a South African economist, said: "Chinese contractors and businesses are willing to go to places and work in conditions that few in the West would contemplate." It's not just infrastructure deals, however, that are attracting Chinese investors to Africa. According to the World Bank, an estimated 86 million low-skilled manufacturing jobs are set to be outsourced from China, a consequence of the rising cost pressures caused by higher wage expectations. Ultimately, it is expected that Africa will be the primary beneficiary of this shift in labour demand. Assessing this likely change, Mills said: "Low-tech, high-labour manufacturing cannot be done virtually and, as China moves up the development scale, Africa can realistically hope to meet this demand." One sector where such a process is underway is the textile industry, with China having relocated some production facilities to Africa. 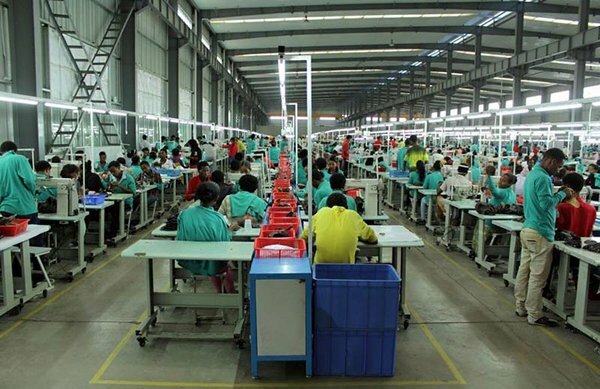 In particular, China has invested heavily in several large manufacturing projects in Ethiopia, with the East African country set to become the continent's garment manufacturing hub. Ethiopia is already one of Africa's fastest-growing economies, with the country having pursued a policy of deliberately keeping labour costs low in order to create a competitive advantage. One industrial park, near Addis Ababa, the nation's capital, now houses some 80 Chinese textile firms, all attracted by low or zero tariffs and cheaper labour – comparative industry wages are 15 times lower in Ethiopia than in China. The Huajian Group, a Zhejiang-based footwear manufacturer, has also invested heavily in a large plant in the park, which currently has more than 3,000 employees. Relocated production: Is the Huajian Group's Ethiopian footwear factory the shape of the future? Overall, improved transport infrastructure – much of it funded by China – has led to manufacturing efficiency improving across Africa. Once landlocked Ethiopia, for example, now has direct access to a port following the opening of the Addis-Djibouti Line. It should be no surprise then that several other African countries, notably Morocco, South Africa, Cameroon and Togo, are now said to be angling for Beijing's attention. Given that Chinese companies have already created some 600,000 jobs across Africa, it is pretty much inevitable that every country on the continent would look to capitalise on the possible spoils of the BRI. For its part, China clearly believes that outsourcing some of its manufacturing requirements will help make certain African countries more self-sufficient. The naysayers argue, however, that China is taking advantage of cheap labour, demonstrating that it's indifferent to the repressive regimes and poor governance that characterise many of its partner countries across Africa. Despite these concerns, it's indisputable that Africa needs to create a larger manufacturing sector if its economies are to achieve sustainable growth in a global environment where falling commodity revenues seem a long-term reality. It is also clear that China is looking to capitalise on this need. Ultimately, as with all other investors, China wants to ensure it is getting a good return on its capital, a policy that is more than apparent in its approach to its African infrastructure projects. Highlighting this, Bruce said: "China does almost no work in Africa from which it does not derive some form of benefit, either political or economic." As was the case with China several years ago, Africa is now keen to participate more fully in the globalised economy. For many, if the BRI can help boost development across Africa and drive economic activity, then that can only be a positive for the continent.